Could Villanova Finally Break Through? The Villanova Wildcats are without a doubt, one of the best college basketball programs since 2005….in the regular season. Under Jay Wright, the Wildcats are 243­-98 since 2005 (excluding this year) making NCAA Tournament appearances in all but one of those seasons. Despite the extraordinary successes in the regular season, Villanova has been been labeled as choke artists come March Madness. They have been seeded as a 5 or higher in the tournament six times in this period and have only reached the Final Four once, as a three seed. As a 1-seed, Villanova has never reached the Final Four. Last year may have been the most disappointing for the Wildcat faithful as they fell in the round of 32 to North Carolina State in Pittsburgh. The previous season, as a 2­-seed, another third round loss ended the year as Villanova bowed out to eventual national champions, Connecticut. Seven years ago, in 2009, was the lone Final Four trip for the Wildcats under Jay Wright. They were pounded by yet another eventual national champion in North Carolina. Five times since 2005, the Wildcats have been eliminated from the NCAA Tournament by the eventual winner. Last season, the Wildcats posted their best record in school history at 33­-3. This year’s squad can rival that with a nice run in the Big East Conference and NCAA tournaments, respectively. Barring a meltdown to end the regular season, Villanova should be without a doubt, a 1-­seed in the NCAA Tournament. While the high expectations for postseason play have plagued them in the past, this could just be the year of the Wildcat. The final two games should be wins, which will give them a regular season record of 27-­4 and the top seed in the Big East Tournament. They likely will not see their most recent loss, Xavier, until the championship game and their only other conference loss, Providence, until the third round. It could be back-­to-­back conference championships for Wright’s squad. A difference from last year to this year is the 2015 Wildcats went on nearly a two month stretch without losing a game. The recent loss to Xavier have most likely brought the 2015-16 version back down to Earth. They realize they are not unbeatable and a conference championship would give them the needed confidence and swagger in the NCAA Tournament. 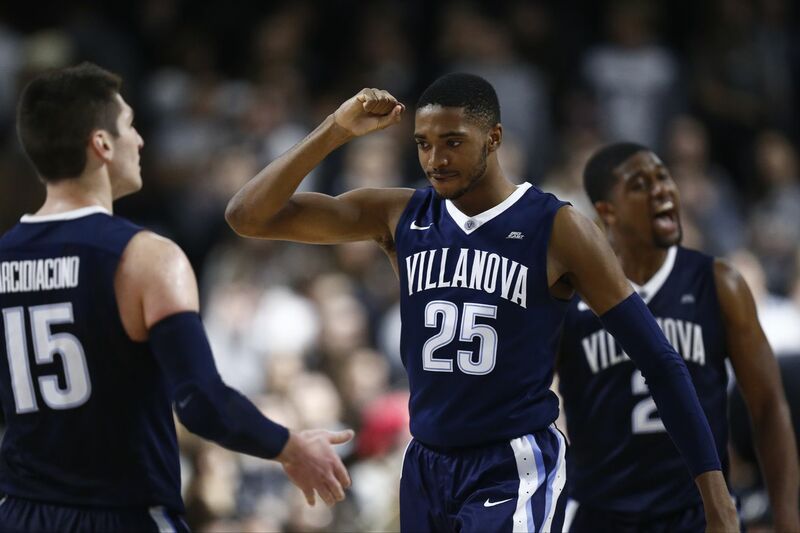 Like past seasons, ’Nova has a balanced scoring attack and a great mix of experience and youth in the lineup. They start a senior, three juniors, and a freshman. Having a veteran group could really be the difference in an ever-­younger college basketball world. Josh Hart has been the leading scorer, averaging around 15 per game and Ryan Arcidiacono has been a sniper from three-­point land. All five starters average double-digit points and Daniel Ochefu has been an anchor in the middle. Their defense is what they pride themselves on, and it has looked phenomenal throughout most of this year, ranking in the top ­15 nationally in points allowed per game. The stability is there for the Wildcats to make a much-needed run this March. They have the veteran leadership as well as the experiences of pain from early round losses in previous years. Could Wright’s 15th season as Villanova head coach finally result in a National Championship? I don’t think anyone gets sick of NCAA Tournament appearances, but Villanova is sick of the recent early exits before the first weekend is over. It’s time to get the monkey off the back. The Wildcats are ready to get to Houston.